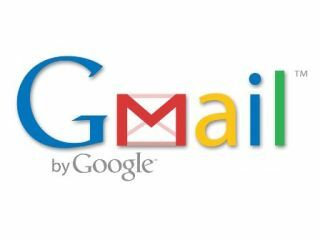 Google to bring status updates to Gmail? Gmail - to get a little status? Google is set to announce a new push into social networking features, with suggestions that its Gmail webmail service will be bringing a 'status-like' addition where users can update friends on what they are up to. According to several news sources in the US, including the Wall Street Journal and New York Times, Google's scheduled press briefing on Tuesday will bring changes that push the raft of online services offered by the company into a more social circle. The primary change appears to be the roll-out of status updates into Gmail – extending the status option that is used within Google Chat so that users can check out what their contacts are doing. This is obviously reminiscent of both Twitter and the status updates on Facebook and Windows Live, although there is not yet detail as to whether the Google service will integrate with any of these services. Google's range of services is certainly beginning to pick up increasing amounts of 'social' options; the Google Reader allows users to vote for RSS stories that they like and the search that underpins the company's success now includes real time results from Twitter and Facebook. Google's rival Microsoft has also moved its plethora of services towards social networking, including a 'what's new' feed that shows what a user's contacts have been doing in Windows Live services and the likes of Flickr, Pandora and Twitter. It seems clear that Google is keen to tie together services like YouTube, Picasa, Blogger, Gmail and Google Wave, potentially creating a social network that could rival Facebook and MySpace if it can provide a simple user interface.